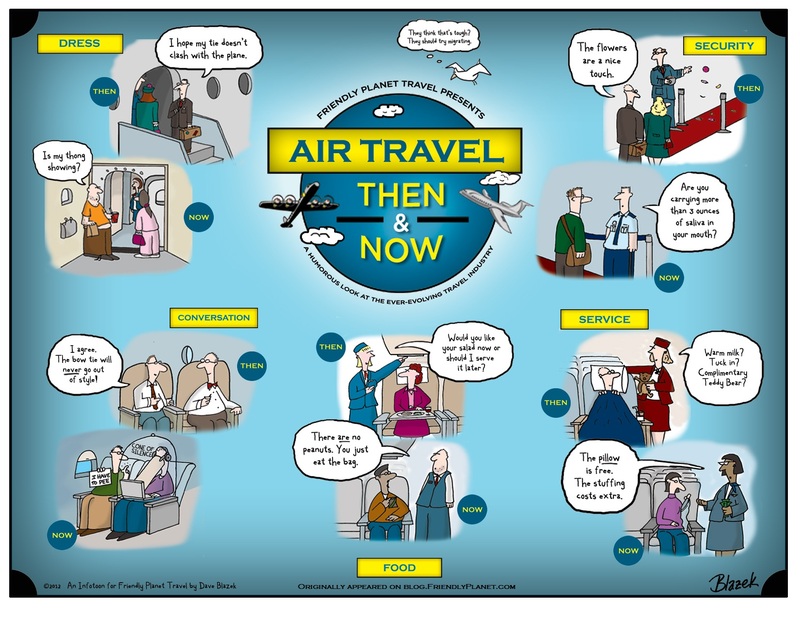 It’s trendy these days to complain about air travel or pine for the good old days of flight. Yes we seem to have lost some of the magic, some of the civility. But is travel today really that much worse? For short hauls probably, but for long hauls; for those distant and luxurious intercontinental flights we think it has never been better. Assuming of course that you are sitting, laying, relaxing, lounging, drinking, feasting, in the front part of the aircraft, flying is magical. Still this Infographic is pretty funny.